Utilises simultaneous multifrequency technology to deliver the highest level of sensitivity and stability in todays metal detector market. High resolution touch screen and simple menus provide clear and user-friendly experience. Auto-set up routing predicts achievable sensitivity levels for the range of products being run. Protection class up to IP69K. 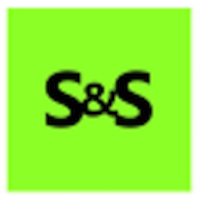 User screens configured for Retailer code of practice compliance such as Tesco and M&S. 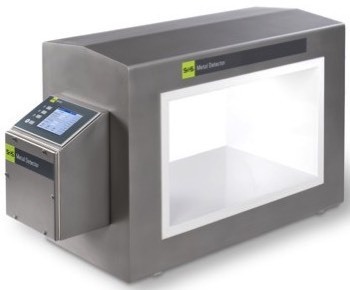 Compact case design with membrane keypad or touch screen options provides design and price flexibility for retrofit and integrator applications. Available with a range of standard and customised conveyor and reject options. One of a range of fully flexible conveyor systems with either an Intuity or GLS metal detector option. From fast moving retail packs up to products 50Kg in weight. Modular and PU belt options with hygienic framework. Tailored reject systems to ensure failsafe rejection from the line. Full suite of failsafe sensors ensures compliance with the most rigorous retailer specifications. Can be integrated into horizontal, vertical or inclined pressure or vacuum systems up to 150mm. Offers excellent metal detection, has maximum resistance to mechanical and electrical interference. 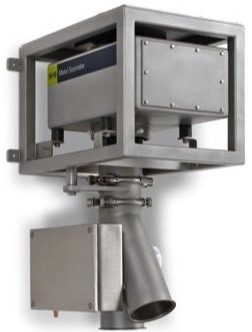 The rapid acting rejection system removes contaminants without interruption or loss of pressure or vacuum in the pipe, minimises rejected product even at high flow rates. 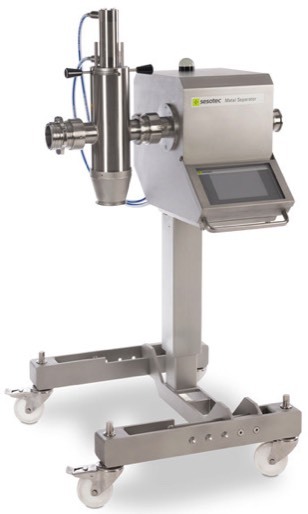 One of a range of free-fall detection systems, the Rapid 5000 is suitable for powders and fine grained material but others in the range are specifically designed for coarse grained or flaky products. High noise immunity to external mechanical and electrical interference. Range of pipe diameters and reject systems to suit most installations. 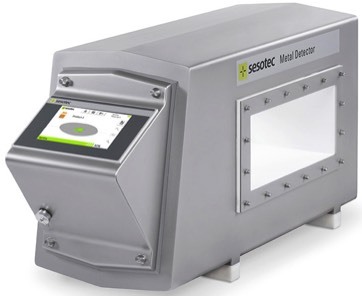 Metal detection of soup, sauces, jam, and virtually any liquid. CIP options available and high temperature variants. Range of connectors will interface to most pipeline systems. Height adjustable stand or wall mount options. 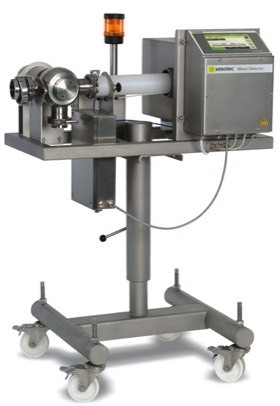 Designed primarily for the inspection of pumped meat from vacuum fillers, such as Handtmann, Vemag, Risco etc. it can also be used for the pumped product like spreads or sauces. Easily interfaces to fillers and pumps with a range of pipe diameters, connectors and adaptors. Electrical interfaces provide pump over-ride signals, clip inhibit in addition to mechanical linker options. Integrate metal detection system across the network and gain valuable production and quality control data. 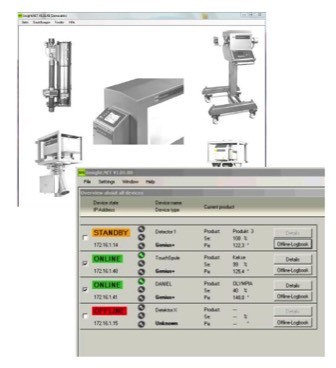 Control metal detector devices remotely and view operator validations and test routines.